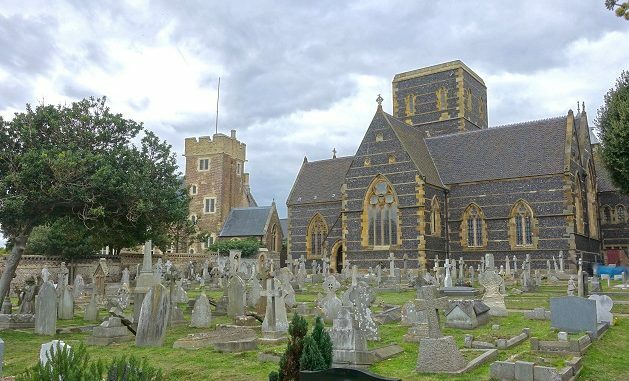 The ﬁrst ever performance of a signiﬁcant piece of classical music by an American composer will be heard at Ramsgate’s Shrine Church of St Augustine / National Pugin Centre at noon on Sunday October 28. Dr Peter Kwasniewski’s Missa Rex in Æternum will be sung by the choir ‘Cantabo Domino’ under the direction of acclaimed British musician Matthew Schellhorn. The UK premieres of two other pieces by Dr Kwasniewski, “Christus vincit”and “Jesu dulcis memoria” will also be heard at the High Mass to celebrate the feast of Christ the King. Shrine Manager Father Simon Heans said: “We are delighted to welcome Dr Peter Kwasniewski a world class composer of sacred music to our beautiful world class church for this very special event. Augustus Welby Northmore Pugin designed St Augustine’s to appeal to all the senses as well as to the spirit, and music was a very important part of the vision for his ‘perfect church’. The Shrine Church of St Augustine & National Pugin Centre is in St Augustine’s Road, Ramsgate.